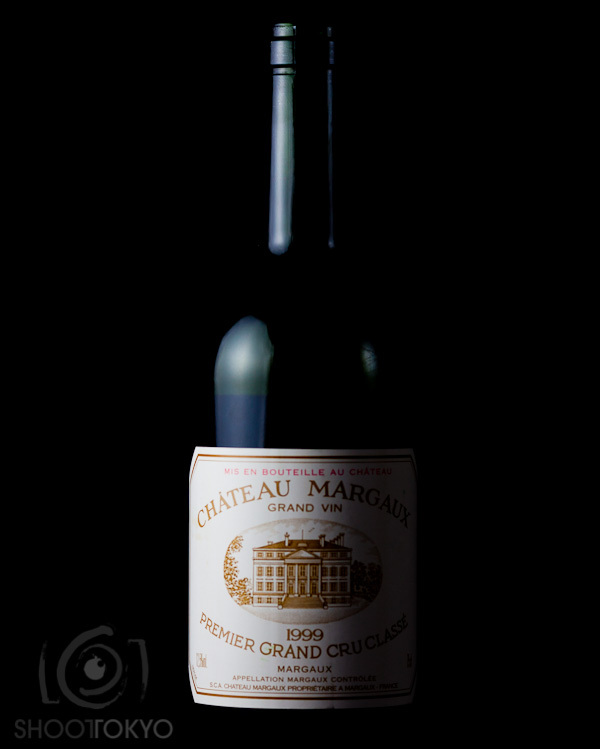 Yesterday for my birthday my wife Mayumi and I cracked open a bottle of 1999 Chateau Margaux Premier Grand Cru Classe that I have been saving for awhile. We had a rare moment of a little peace and quiet after my son Kai went to bed to enjoy it. Canon 5DMKII, Canon 135mm f/2.0 L, 1/180, f/5.6, ISO100, 580 EXII @ 1/16 shot through a XS Octodome NXT bottle right (2 feet), silver reflector bottle left (2 feet), white balance and color correction via Xrite Color Checker Passport, remotely triggered with Profoto Airsync.